Making a good decision almost always means making a well-informed decision. However, when it comes to healthcare, many people are unable to make well-informed decisions because of poor health literacy skills. This is why Health Literacy Month was founded: to promote and raise awareness of health literacy. Health literacy is how well people are able to understand and act on medical information. The medical culture also plays a part in health literacy. Medical professional have their own culture and language, which can make it very difficult for regular people to understand information. For example, the average person would have no idea what “hyperlipidemia” is or how to go about treating it. If his or her doctor instead explained that the individual had high cholesterol, it’s much easier to figure out the next steps, like medication or diet changes. Those with limited health literacy are more likely to experience poor health. They may skip preventative measures like flu shots or mammograms and, as a result, are often sicker by the time they enter the healthcare system. They may also be less able to successfully manage chronic conditions like diabetes, asthma, or pain conditions. The rates of hospitalization and emergency service usage are higher among those with limited health literacy, as are the occurrence of hospital visits due to preventable conditions. Improving health literacy must be a joint effort between professionals and patients. According to the Centers for Disease Control (CDC), there are a few simple goals for health professionals to improve health literacy. These goals essentially boil down to helping people find information and services, listening closely, and communicating well. There are several resources available to help professionals accomplish this. The CDC has identified language barriers as a major issue in health literacy. People who either don’t speak English or whose primary language is something other than English might have a harder time understanding health information, so translators can be very helpful. If a translator is hard to find, there are alternatives. For instance, the Institute for Healthcare Advancement (IHA), which holds an annual conference on health literacy, provides a variety of services for medical professionals, including translations. Pfizer, which produces a huge number of prescription and over-the-counter medicines, has also created a tool to help health professionals figure out their patients’ levels of health literacy. The Newest Vital Sign is a short quiz that evaluates an individual’s ability to comprehend a food label. Because poor comprehension of food labels has been shown to correlate with low health literacy, this gives a medical professional some guidance as to how best to explain information so the individual will understand it. Pfizer also has information available on how to create better doctor-patient communication. Some health professionals are taking the initiative to improve health literacy. A registered nurse at the Nebraska Medical Center in Omaha, Jana Uryasz, acts as a patient education specialist. She uses different factors, such as how many words per sentence or how many syllables per word, to calculate the grade level needed to understand a document written by a doctor. Uryasz then replaces complex words and simplifies the wording until the document is at a fifth to eighth grade reading level. More patient education specialists like Uryasz could seriously improve health literacy. Computer programs may also hold some hope for improved health literacy. The Health Literacy Advisor, made by Health Literacy Innovations, is an add-on program that works with Microsoft Word. Much like a patient education specialist, the program calculates the readability of a document. Hard to understand medical jargon can be replaced by one of thousands of plain language alternatives. The program can also be set to highlight particularly long words or sentences. There are also several ways for patients to improve their health literacy. While medical professionals are definitely a big part of health literacy, healthcare consumers (such as patients or their caregivers) also play a part. Researching information and services, making an effort to truly understand medical information, and communicating well with professionals can all help people improve their health literacy. 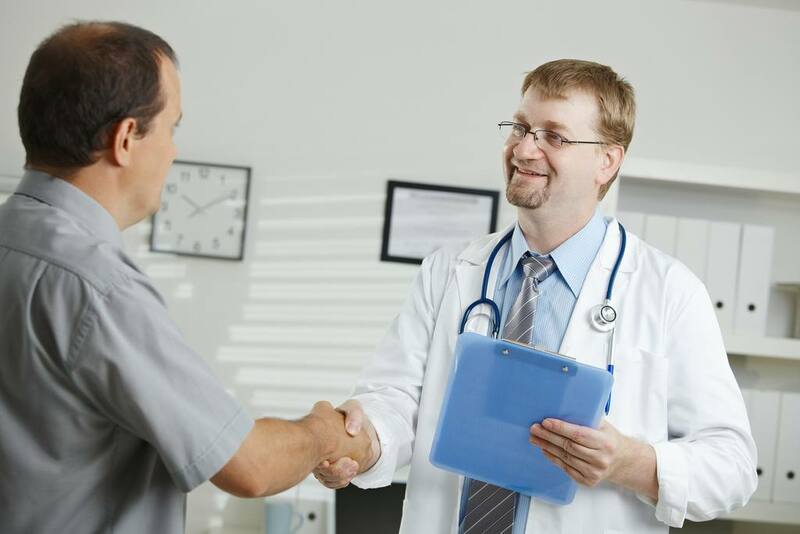 Simply knowing the sort of information to share with a physician can be helpful. For example, sharing all symptoms of a medical condition—even those symptoms that seem insignificant—can help with a diagnosis. Similarly, sharing very small details about a medication’s side effects can determine whether a physician alters the dose or changes the medication entirely. Communication with medical professionals is vital, and if the professionals don’t initiate deeper communication, it’s up to the patients to start the conversation. The website for Health Literacy Month has several suggestions for the month, such as recognizing local “Health Literacy Heroes” or initiating conferences or workshops. However, you don’t have to do anything that big for Health Literacy Month. You could make an appointment to chat with your physician about your health and medications, or spend a little time online doing your own research. If a medical professional went out of his or her way to talk things out and help you understand what was happening, call his or her office and let the people in charge know that you appreciated it. What will you do for Health Literacy Month?